My own spirit seems to have run a bit dry recently…. 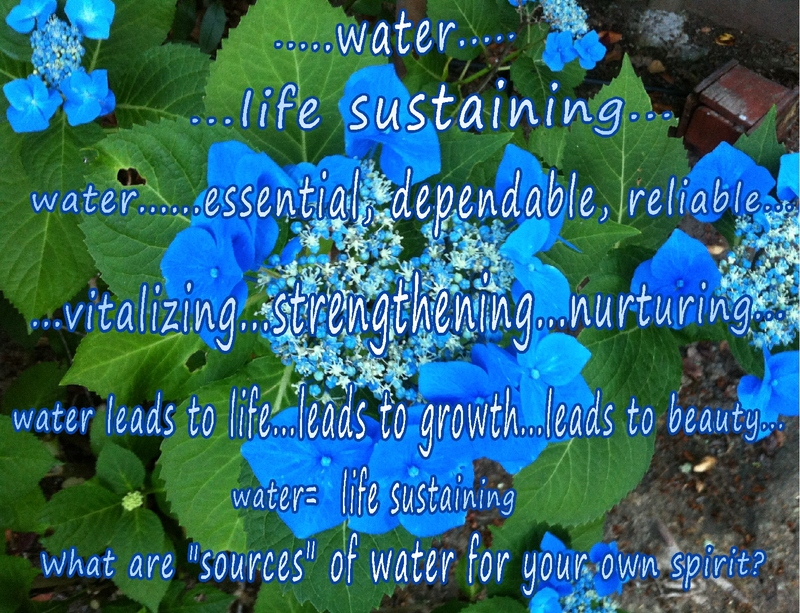 to have a variety of sources of “water”…. ??? … a few potential sources… ??? 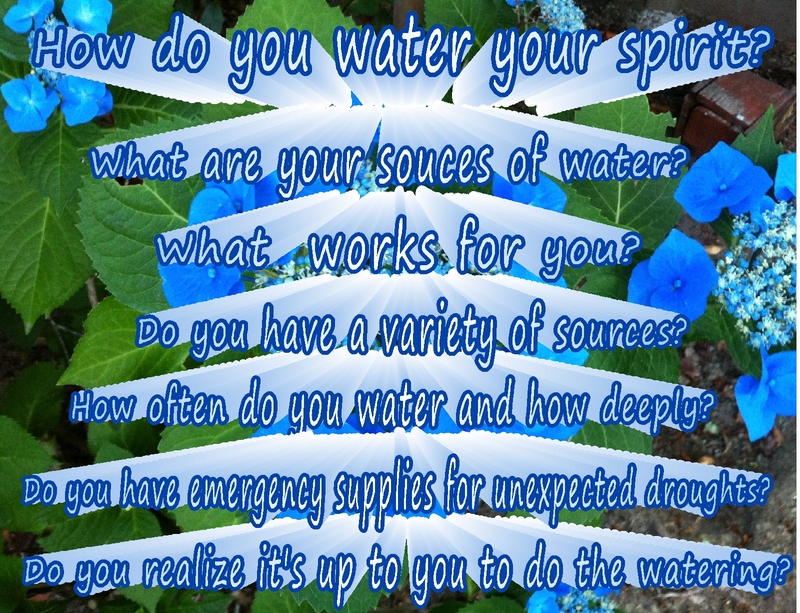 A few of your own sources of water? 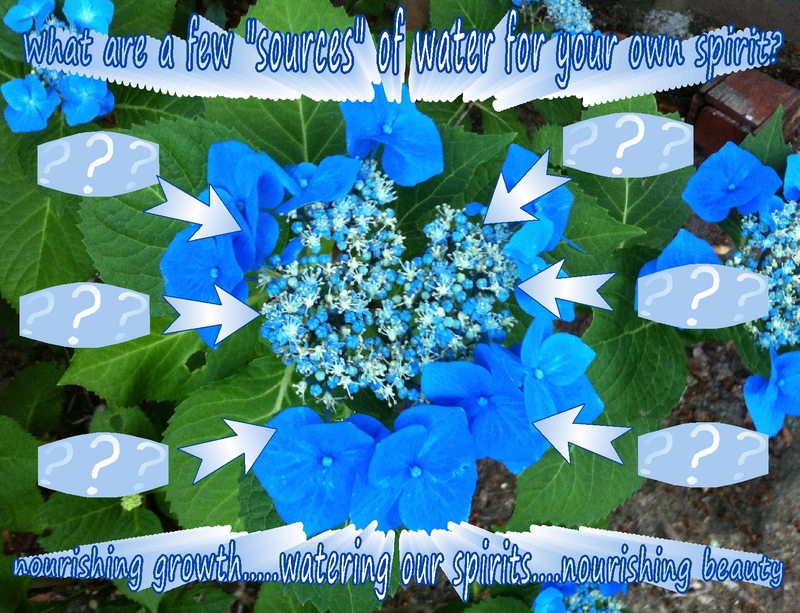 nourishing and replenishing your spirit? 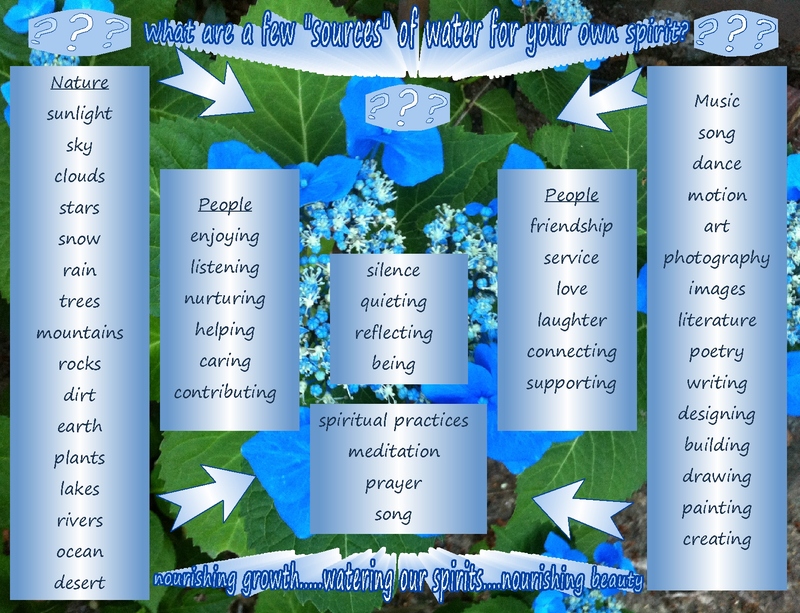 Part of Nurturing Thursday, hosted at Becca’s blog, On Dragonfly Wings with Buttercup Tea. 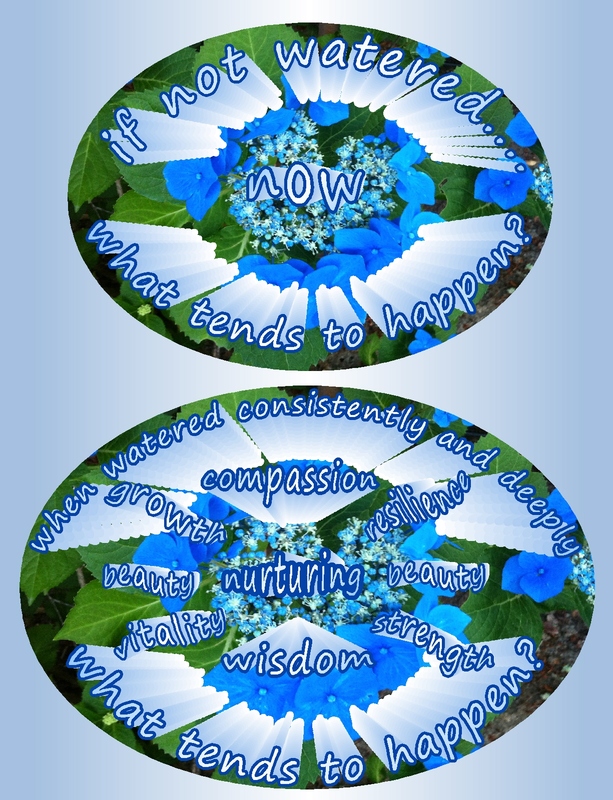 Please visit Becca’s blog for links to other encouraging Nurturing Thursday posts. sometimes I like to put the images onto one page…. one beautiful drop at at time…. This entry was posted in Life and tagged Appreciation, Awareness, Beauty, Encouragement, Happiness, Inspiration, Life, Loving kindness, Meditation, Mindfulness, Motivation, Nature, Spirituality, Strength, Wisdom. Bookmark the permalink. Reblogged this on Hodgepodge 4 the Soul. Pingback: Nurturing Thurs – Subscriptions | "On Dragonfly Wings with Buttercup Tea"
There is so much beauty and wisdom here my friend! 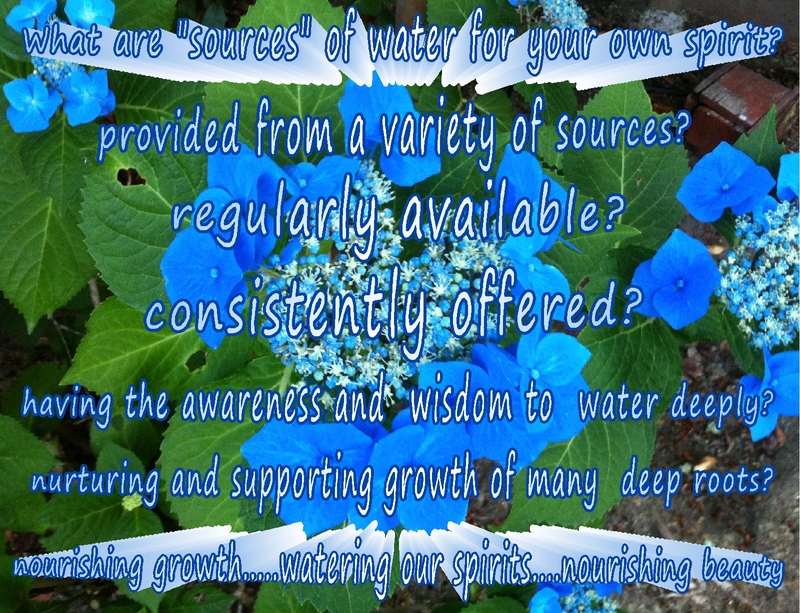 You spirit will soon be overflowing with nourishment. 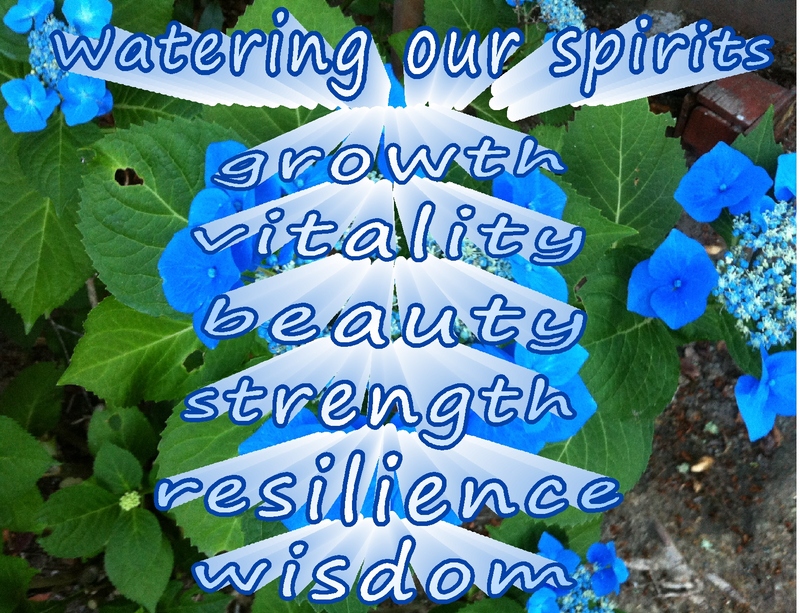 Embrace the dryness and pour in the life giving water, one beautiful drop at a time. thank you Joss…. what a lovely way of phrasing that…. 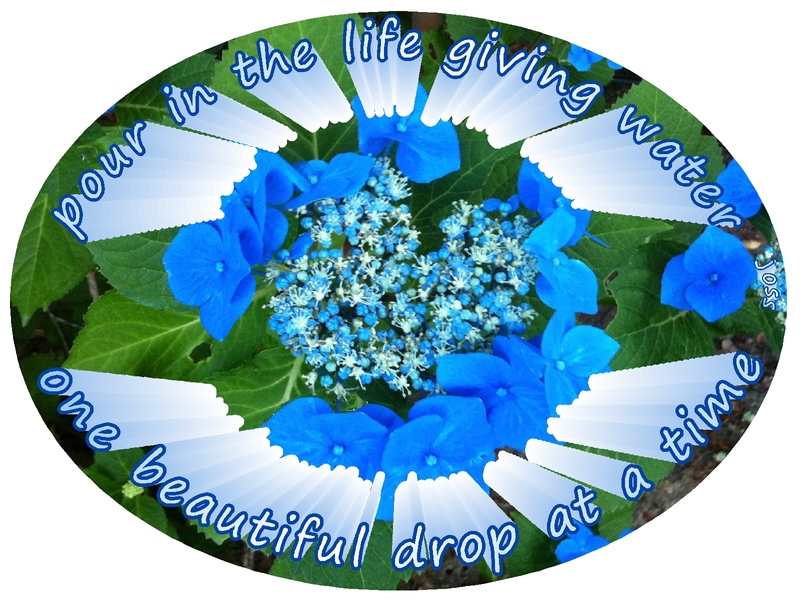 “pour in the life giving water, one beautiful drop at a time….” …thank you for that image… “one beautiful drop at a time”…. thank you Joss…it’s there at the bottom of the post….it’s beautiful with the photo behind it…thank you…. 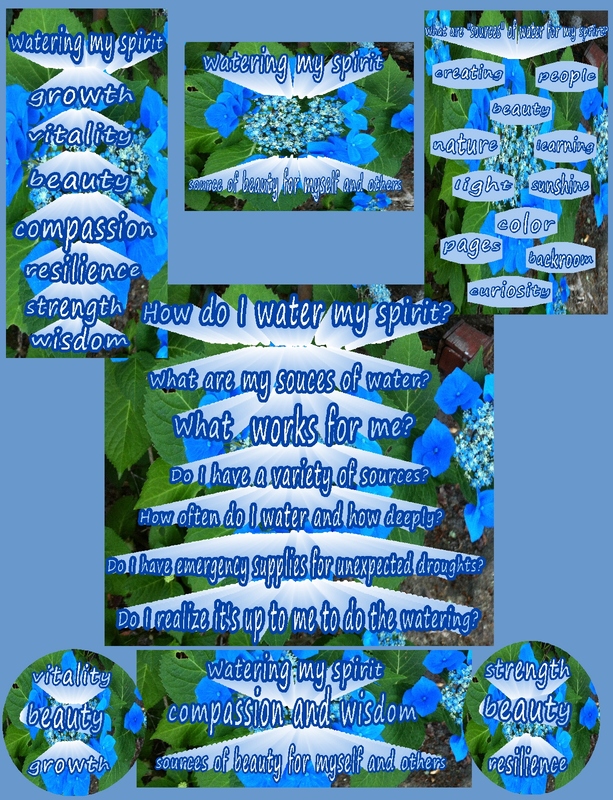 thank you… as Joss just wrote in her comment… “pour in the life giving water, one beautiful drop at a time…” … isn’t that a lovely image? I have stopped in and come back to read these beautiful thoughts. You have made me go back and remember the hydrangea in December at D2’s wedding. I remember wondering at the time, what is an appropriate Dec flower and D2 picked hydrangea. I must say she and SIL water my spirit continuously. Oh Georgette…what a wonderful association…. 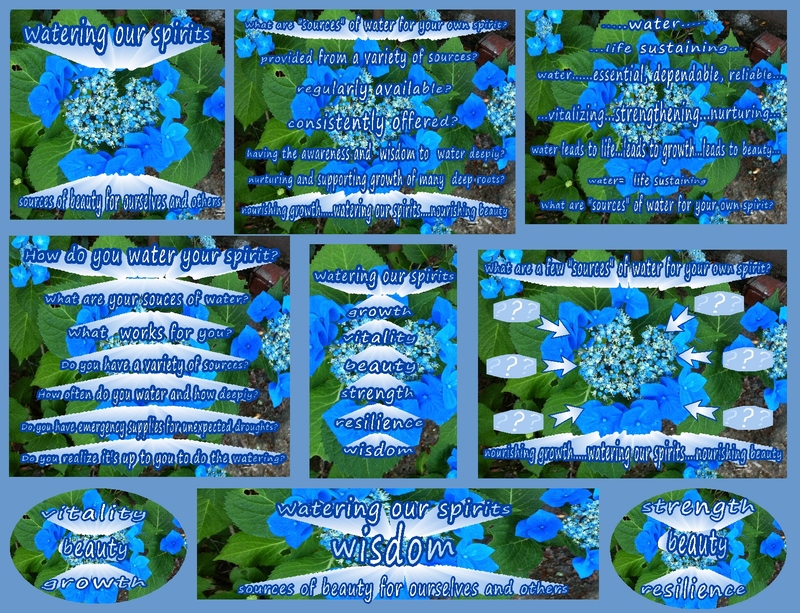 lovely hydrangeas, the joy on the day of your daughter’s wedding and the love that SIL, you and she all share…beautiful and abundant water for your spirit…and their spirits….and lots of it!!! 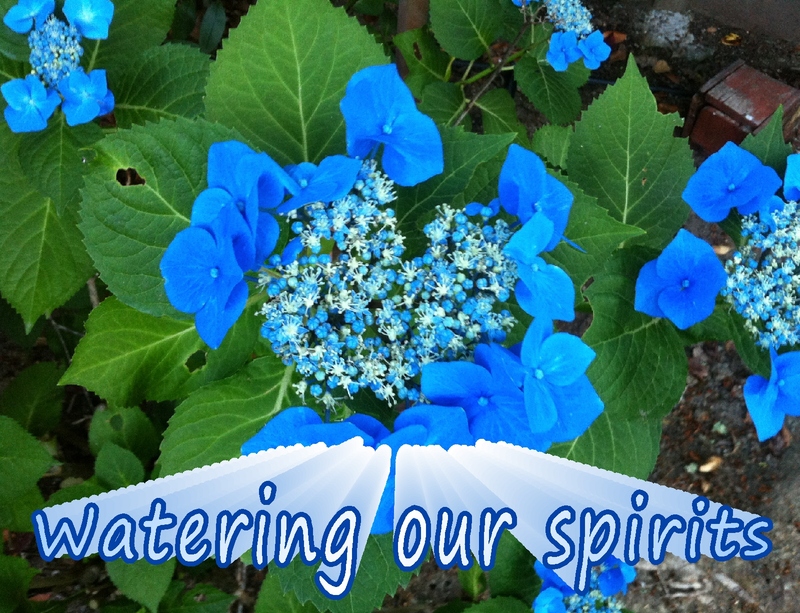 I love hydrangeas…the colors and the variety. Great metaphor! 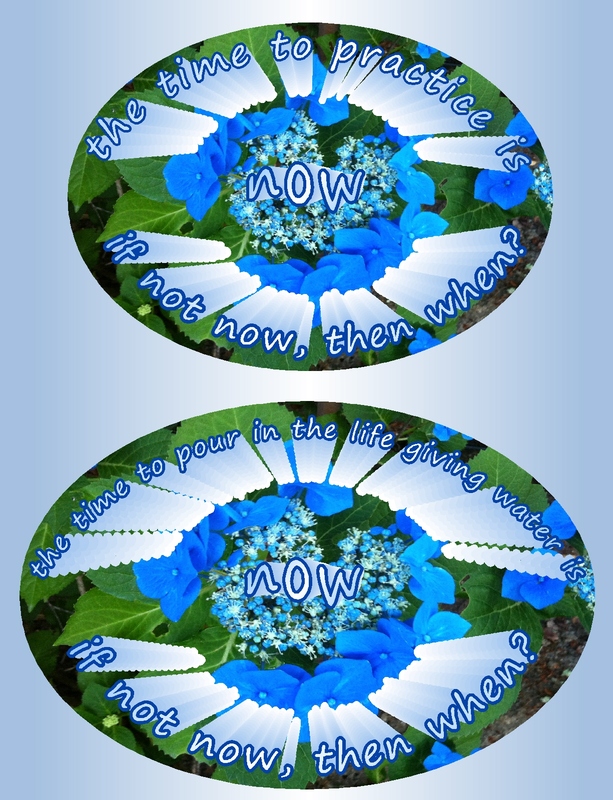 I love them too…but get taken aback when they do “the big flop!…whether that big flop is within ourselves or in others…. Bring on the water!!!! Gorgeous, truly gorgeous. I love how you have combined softness of words and pictures with more structured and analytical graphs and mind maps. Something for everyone! Kathy, It’s a blessing that even when your spirit feels dry you still can inspire others with your beautiful wisdom and art. I have been uninspired for a quite a while and I have been using this time to reflect. 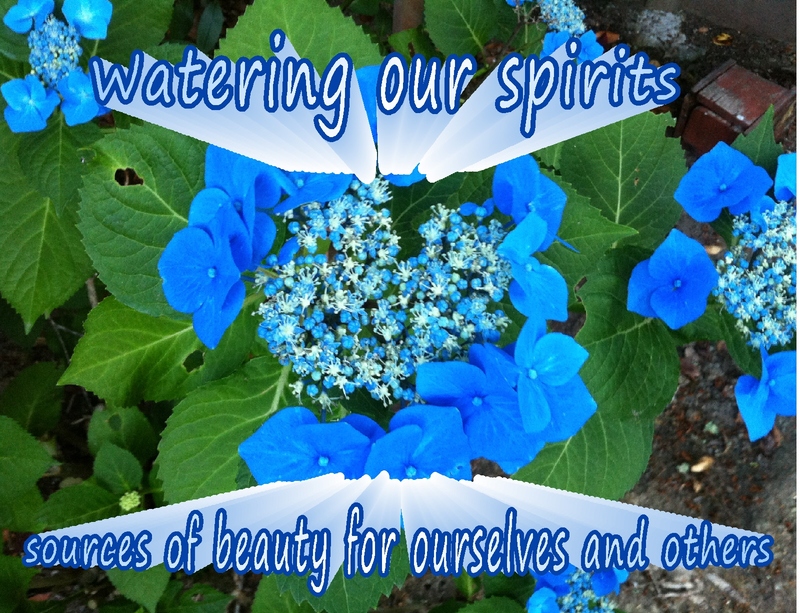 Pingback: Nurturing Thurs – Gift of You | "On Dragonfly Wings with Buttercup Tea"